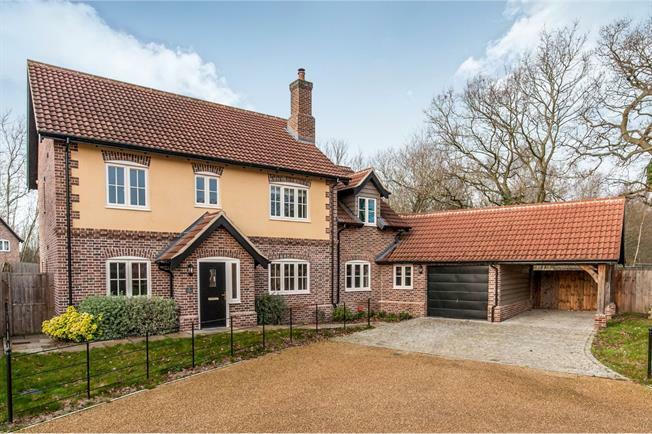 4 Bedroom Detached House For Sale in Thetford for Asking Price £439,995. FEATURED IN THE BIG OPEN HOUSE. Delightful executive style home available for sale with no upward chain. Built by 'Clayland' a high specification local developer. This four bedroom house offers ample reception and family space, plus a generous amount of parking to the attached garage and carport. The kitchen is a particular feature of the property that includes space for preparation and entertaining. The inclusion of a study makes for generous reception space. The bedrooms are all doubles and the family bathroom has been finished to a high specification with its four piece sanitaryware. Viewing is highly recommended.